It's summer! We've done our long road trip, (Check out my hints for helping your kids learn to love long car trips). We've done swimming lessons (read about some swimming pool science) and baseball camp. Our garden is getting started, albeit a bit late. (Follow my quick guide to gardening with kids, and you can put one in by tomorrow! Mid-summer is a great time to plant fall crops like pumpkins.) 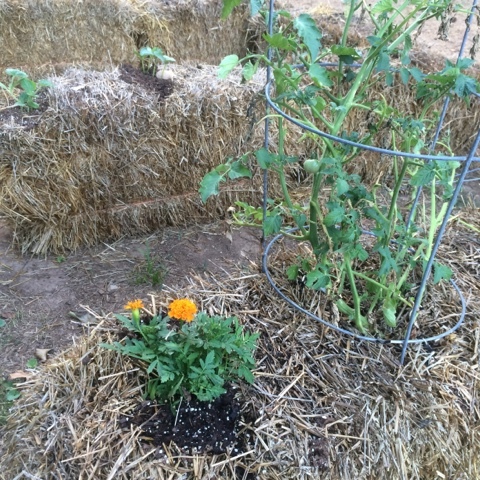 We are joining the straw bale fad, and so far it's going well. You can see the tomatoes we transplanted, marigolds we picked up on clearance, and some cucumbers making their start in this shot. This year I am working on mothering more by example and less by fussing. This spring I participated in a Facebook book club devoted to learning to becoming a less angry parent. My major realization is that I need to concentrate on decreasing my stress level. Clutter and an overly complicated schedule are two triggers I need to avoid. 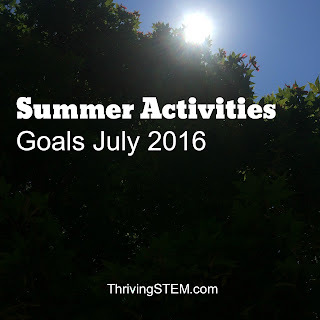 My July goal is to really concentrate on enjoying the summer. My temptation is to jump ahead to the stress of school. That's not what I want my children to do, so I need to do differently as well. My goal is to begin a habit of enjoying doing something with each of them every day. The process of admitting to myself how badly our home's peace had been disrupted by my clutter and unfinished projects has been uncomfortable. However, I am also starting to feel the difference. My goals for July is to finish two small sewing projects taking up space in the bedroom, get the older kids' bedroom organized, and organize the school papers. My goal is to update and and reshare all of my summer relevant content. I have some really fun posts gathering dust because I haven't done the simple work of updating. 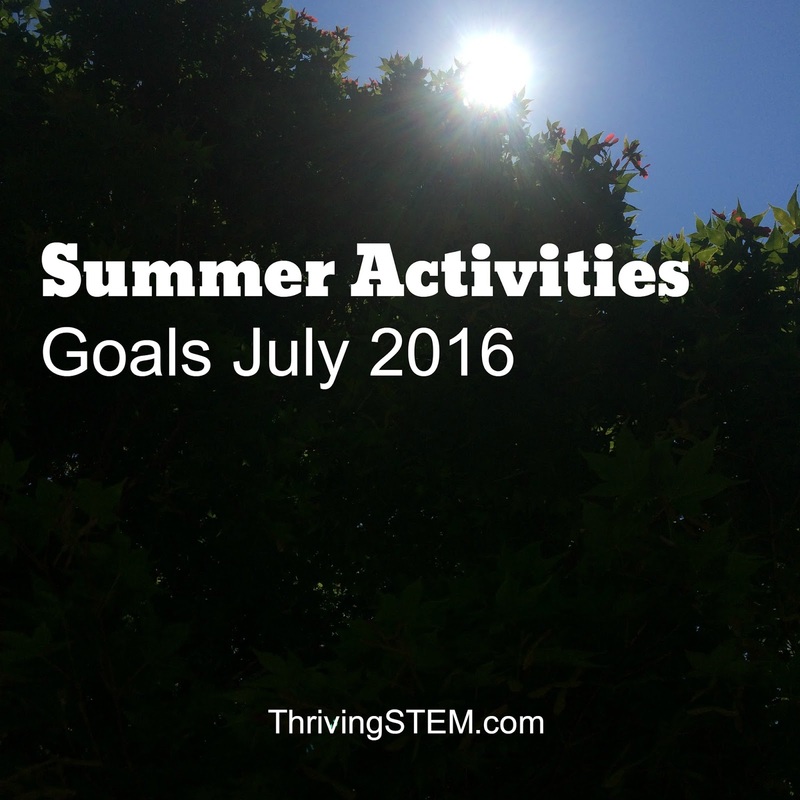 What are you hoping to accomplish with the rest of your summer? 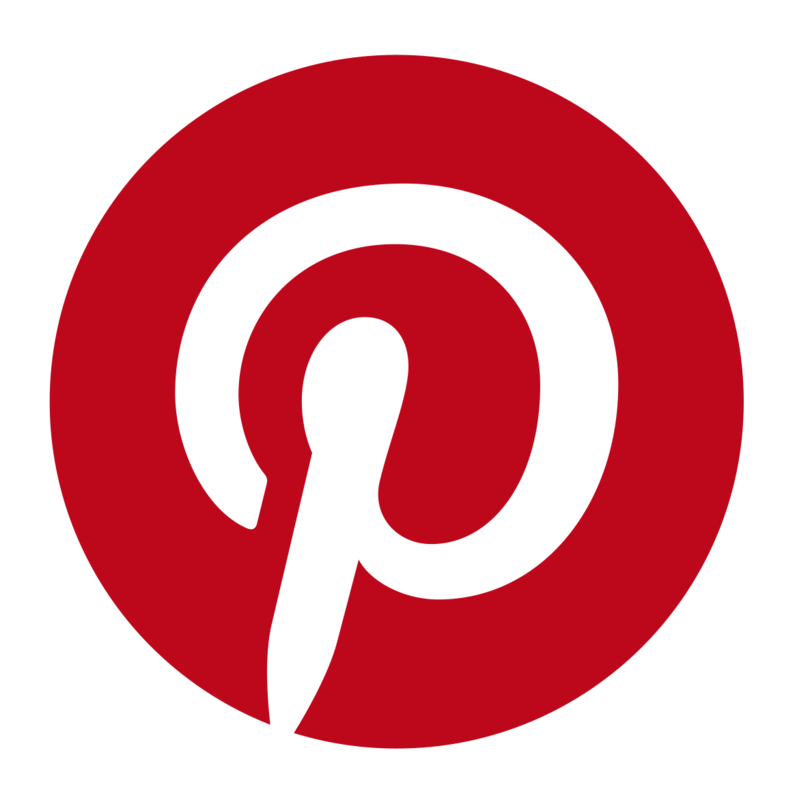 Please join me and some of my favorite blogger by sharing in the comments, or if you blog, by linking up! I love your goals. I am trying to update old content and get it out there with my blog as well (although mostly busy traveling at the moment). Thanks Mary Anne! Yes, updating is so rewarding once it's done, but I tend to procrastinate. I love how you admit and acknowledge some of your mothering triggers. Clutter and a too-packed schedule are probably two of mine as well.